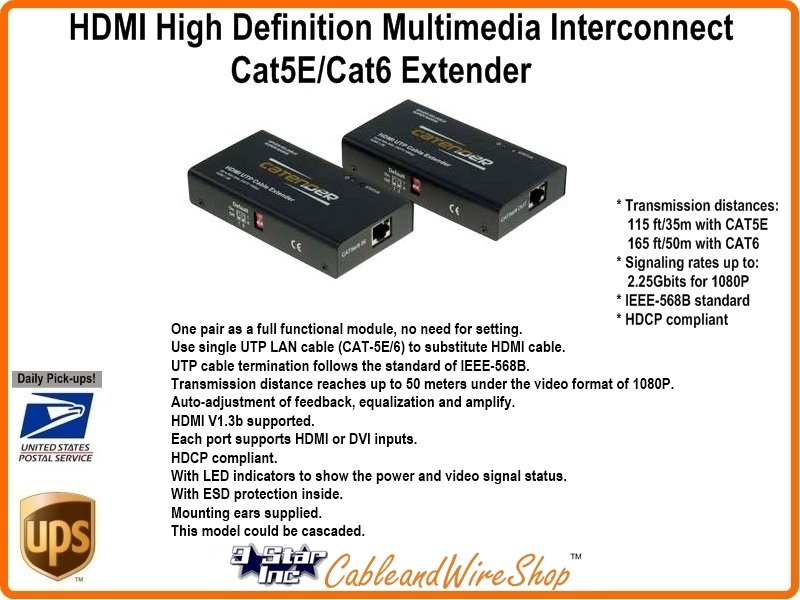 HDMI Cat5e/Cat6 Extender Set uses one (1) Cat5e/6 cable as the transmission media. This enables easy HDMI installation over a long distance (up to 165ft/50m). Transmission distance reaches up to 50 meters under the video format of 1080P. Auto-adjustment of feedback, equalization and amplify. With LED indicators to show the power and video signal status. This model could be cascaded.